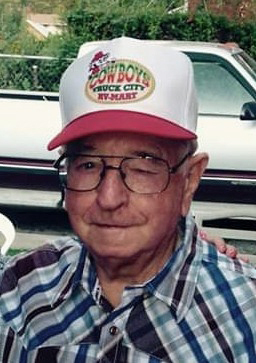 LeRoy Mitchell, 83, of Pleasant Grove passed away Monday, April 8, 2019 at his home. LeRoy was born August 21, 1935 in Pleasant Grove to Joseph Trotter and Secried Irean Tomlinson Mitchell. He married Betty Jean Nunley on September 29, 1962 in the Manti Temple of the Church of Jesus Christ of Latter-day Saints. LeRoy grew up in Pleasant Grove and attended school there. He received his diploma from Utah Technical College. He joined the US Army and served three years and was deployed to Germany during his service. LeRoy worked at Kennecott Copper Mine in the tire shop and later in maintenance at the power plant in Magna. His greatest joy in life was family and loved nothing more than being with his grandchildren and great grandchildren. He is survived by his wife Betty; four children: Lorna Mitchell, Orem; Lorraine (Cecil) Woten, Spanish Fork; David (Stacey) Mitchell, American Fork and Lisa (Alan) Adams, Pleasant Grove; 14 grandchildren and 8 great grandchildren with one on the way. He was preceded in death by his parents and eight siblings: Alfred Mitchell, Joseph Mitchell, Robert Mitchell, Margaret Beardall, Walt Mitchell, Don Mitchell, Vone Mitchell and Carolyn McIntyre.